I am a flawed parent, and if you have kids, so are you. If you haven't done something as a parent that you are profoundly ashamed of, well then you just aren't putting your back into it. That's my feeling. We are all flawed parents, just doing the best we can for our kids and hoping our quirks and mistakes and outright failures as parents never pop up out of our kids like gophers out of a golf course. But of course, that is precisely what they do, regularly, and usually with the most inconvenient timing. That is what happened with my 18-year-old daughter tonight, only it wasn't a gopher, it was a hamster. I got home from walking after dinner with my husband, and there she was with her friend Sarah, putting a hamster cage together on the dinner table and sorting through the toys and food she'd gotten for the cage. Beside all of this sat a little cardboard box with round breathing holes in it, the kind that says, "Your house is about to start smelling like soiled cedar shavings." A hamster. She and her friend had gone to the pet store and bought a hamster with all the trimmings. My daughter has a job, she can pay. This has apparently given her the impression that she can also invite small creatures to come and live in my house without asking me. And the friend? I think she was there as a shield. Why is this an expression of my failures as a parent? I've been too lenient, too patient, too accepting. I haven't put down my foot enough. I've been a marshmallow. This is what I get as a result, and very well deserved too. And why was this the most inconvenient time possible? First, because I had worked a 16-hour day and didn't have much patience left. Second, because she is 18. It is May. She leaves for college in the Fall. And despite her college's stated restriction against any pet other than peaceful un-dangerous fish in the dorms, my daughter thinks she is going to get around the rule somehow and be allowed to keep the hamster in her dorm room. Who thinks things like that? Foolish 18-year-old girls with lenient mothers, that's who. She could tell I was mad. I'm not a yeller, but my lips get scary thin. There's just no hiding it. I went downstairs to the laundry room, and she followed me down. We had a little talk about respect and responsibility and I let her know what she'd done wasn't OK. I kept my temper. I didn't raise my voice. I was pretty good…for a marshmallow. Then I just let it simmer for a while. The good news is that even though I am a rotten parent, the little hamster is far more qualified. It is teaching her the lessons she needs to learn by being nocturnal and threatening to ruin her sleep nightly, and now after an hour in the house, making her eyes run and her nose stuffy. She's allergic. Happily, the pet store has a 30-day return policy. Suppose they'd take the daughter rather than the hamster? When you take the hamster and the daughter back to the pet store, please ask them if they would also take an aquatic turtle and two leopard geckos, which I acquired under similar circumstances. 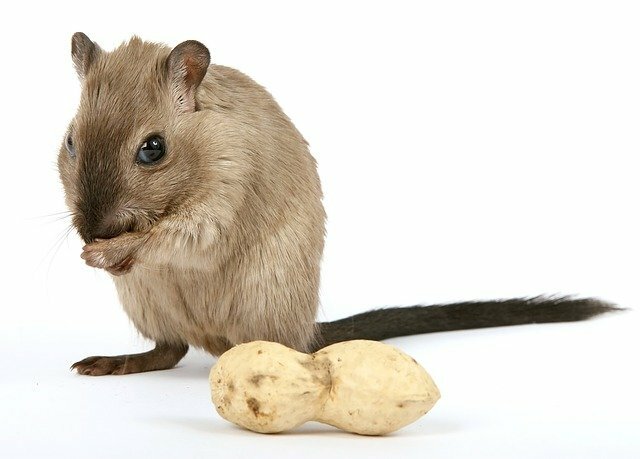 I do have a strict no-rodent policy, at least, since three “female” gerbils somehow engendered a small city sometime ago and ritually ate their young. And yeah that smell of peed-on wood shavings is no selling point! No rodents huh? Well at least the word ‘No’ is a recognized English word in your house. Mine, not so much. I would not try to return my daughter. You know what a sucker I am for her. I have been totally besotted with her from the moment she was born. Sadly, so much so that I am leaving my parenting in the hands of family pets. Sigh. You're far from a rotten parent, you know this! Both of your kids are growing up to become wonderful young adults, and your style has no doubt left me a better person too. Though, I wonder how much the pet store would offer as a refund for the daughter...hope all parties end up happy (or at least with a lesson learned) in this situation! Congratulations @ducksaplenty! You have received a personal award!